Modern Kitchens Edmonton | Local Pages | Merit Kitchens Ltd.
It’s important that your kitchen looks good and functions well, because it represents more than just a kitchen. It’s a direct reflection of your individuality and lifestyle. If you have an outdated design, perhaps it’s time for a change. Adopting a modern kitchen style is an exciting option to consider. One of the best attributes of modern kitchen design is the diversity; there really isn’t a single style or design that can be applied to every contemporary kitchen setting. We will introduce you to a wide variety of modern themes which will allow you to create a truly unique kitchen, suited to your specific needs. You may be wondering where to start in your search for the perfect modern kitchen design. 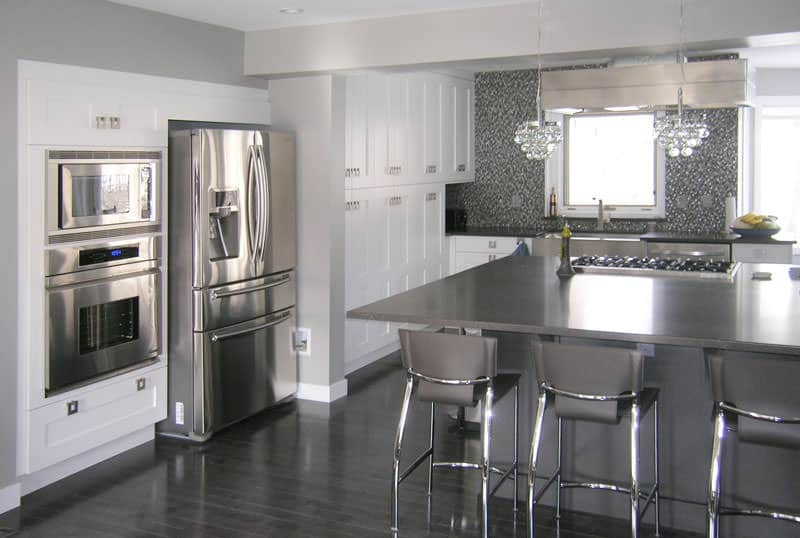 At Merit Kitchens, we offer one of the most extensive selections of modern kitchens Edmonton has seen. Merit Kitchens is a cut above the competition! Since 1971, Merit Kitchens has grown from being a local cabinet provider in Vancouver, British Columbia to becoming a major supplier across North America, parts of Asia and Central America. We have a talented team of tradespeople, craftspeople, customer service professionals and technical specialists. All of our modern kitchen cabinetry is crafted from high quality, environmentally friendly material, making our modern kitchens Edmonton’s finest. Even if you aren’t able to find a contemporary kitchen look which speaks to you, we can customize one just for you. Send us your plans and measurements, and we’ll create it! Please contact Merit Kitchens today at 1-877-674-1351 or click on one of the links below.